In the attempt to cement his position against what seemed a growing support for myself, Gerald Joe Moreno (Equalizer) resorted to cheating; he supplied a misleading version of commentary relating to an academic book. A 2009 blog of his bore the title of Marianne Warren PhD Criticised Kevin RD Shepherd. This attack blog was flawed by a typically obsessive mindset, even using once more an out of context and obsolete quote (from my first website) about which I had complained in 2007. This kind of deceptive presentation can be described as entirely lacking in scruple. Kevin Shepherd omitted Marianne Warren’s criticism about him and only snipped out those sections that suited his big ego. This is a violation of fair comment, revealing a polemical agenda that is extremely misleading. The Moreno commentary exhibits a total ignorance of what I wrote at some length elsewhere, including my web article that same year on Shirdi Sai Baba (especially note 43). 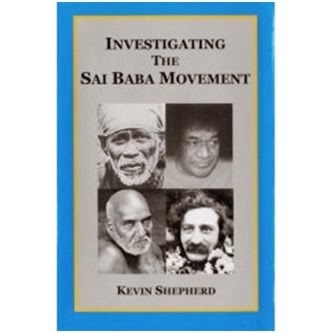 In my book Investigating the Sai Baba Movement (2005), I gave much space in text and annotations to Dr. Warren’s version of Shirdi Sai Baba, covering both the areas of agreement and disagreement between her and myself. That book (page 320) has a total of 25 index references to Dr. Warren, all of these being omitted by Moreno. Moreno (SSS108) had even tried to ban the same book from Wikipedia because it favourably mentioned his opponent Robert Priddy, a leading critic of Sathya Sai Baba. Moreno had not read this book and was entirely unconcerned with the major part of the content, which he consigned to oblivion in 2006 via a Wikipedia User page. Warren’s main criticism related to references I made to the Indian commentator B. V. Narasimhaswami. The context of those criticisms actually originated with Meher Baba; in this respect, Dr. Warren was at a disadvantage, being unable to locate a certain Indian periodical which included a diary of pressing relevance. I had cited that periodical in my annotations to Gurus Rediscovered (1986), a book which followed an academic practice of placing in the notes the publication data of works cited, thus avoiding the need of a separate bibliography. Dr. Warren commented myopically that there was no bibliography, and was concerned to emphasise her pre-eminence in Marathi. The diary that she ignored was in English. 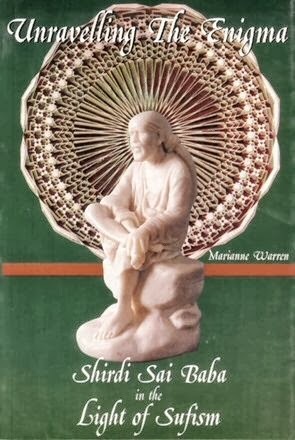 In my later book, I cited from the first edition of Warren’s Unravelling the Enigma: Shirdi Sai Baba in the Light of Sufism (1999). Dr. Warren was then a devotee of Sathya Sai Baba, who claimed to be a reincarnation of Shirdi Sai and to be a miracleworker. Some of her controversial beliefs in that direction were represented in her book (and viewed critically by many other Indologists). Moreno (Equalizer) ignored the contents of my 300-page book. He also completely ignored the fact that Dr. Warren had been influenced by her partisan approach to Sathya Sai Baba, whom she had rejected shortly after her book was published. Dr. Warren had become an ex-devotee, horrified at the allegations of sexual abuse which became well known at circa 2000, and via such critical reports as The Findings of David Bailey. Dr. Warren intended to go much further in a denunciation of Sathya Sai. She planned to write another book in this context, and the introduction survives. Her death prevented new accomplishments. The Equalizer (Moreno) “hate campaign” strategy of omitted details is not to be recommended. The cult attitude distorts history and commentary, and is a hopeless guide to both.